President Barack Obama and his top economic adviser spoke confidently of an economic turnaround Friday and even pointed to early signs. 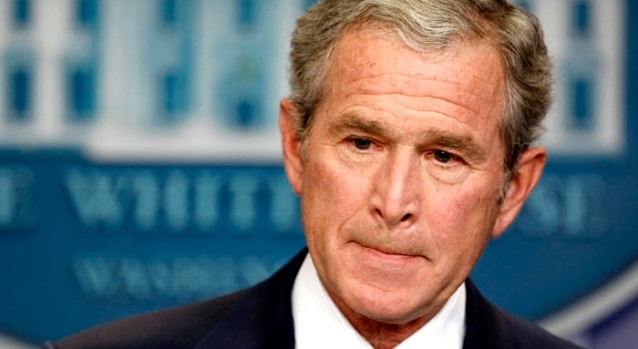 But the president still cautioned, "We've got to get through this difficult period." The nation is still burdened by "an excess of fear," said the director of Obama's National Economic Council, Lawrence Summers. He said consumers' spending seems to have stabilized in an encouraging sign, but he also suggested it was too early to predict the timing of a broader recovery for the millions of Americans who Obama acknowledged were suffering. If too much financial greed helped cause the recession, Summers said, fear is helping to keep it going. "It is this transition from an excess of greed to an excess of fear that President Roosevelt had in mind when he famously observed that the only thing we had to fear was fear itself," Summers said. Obama, speaking with reporters at the White House, said that the days of overheated housing markets and maxed-out credit cards are over. "We are laying a foundation for what I'm calling a post-bubble economic growth" that won't repeat the risks that led to the current crisis, he said. "There are a lot of individual families who are experiencing incredible pain and hardship right now," Obama said. "But we're providing help along the way. He mentioned several economic recovery measures for homeowners and other individuals and promised he would soon be announcing "additional steps to help small businesses." Obama spoke after being briefed by economic adviser Paul Volcker, a former chairman of the Federal Reserve. 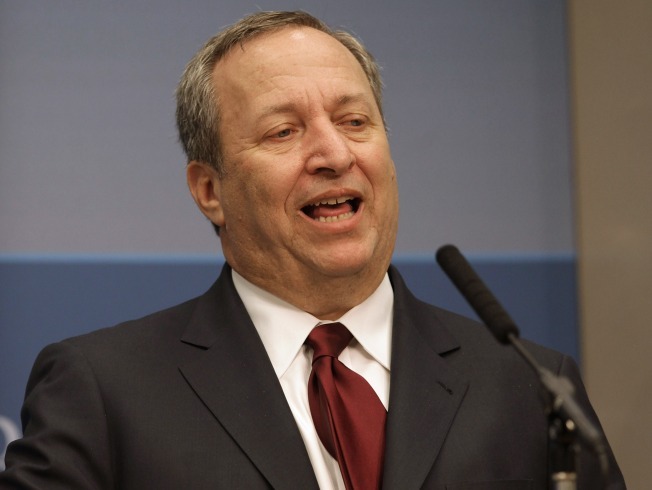 Obama and Summers spoke amid new signs of a deepening recession. The U.S. trade deficit plunged in January to the lowest level in six years as the economic downturn cut America's demand for imported goods, the Commerce Department reported Friday. And China's premier, Wen Jiabao, expressed concern over the U.S. economy and the value of his nation's vast holdings in U.S. Treasury bonds. China is Washington's biggest foreign creditor, with an estimated $1 trillion in U.S. government debt. "Of course, we are concerned about the safety of our assets," he told reporters in Beijing. He suggested overspending by the U.S. would drive down the dollar and depress the value of China's holdings. Summers, who was treasury secretary under President Bill Clinton, said it was too soon to gauge the broad impact of the administration's recovery program. "But it is modestly encouraging that since it began to take shape, consumer spending in the U.S., which was collapsing during the holiday season, appears, according to a number of indicators, to have stabilized," the economic adviser told the Brookings Institution, a think tank. Summers was asked by a member of the audience what the nation's business community could do to help speed the recovery. "What we need today is more optimism and more confidence," Summers said. "Those who have sound long-term strategy, who have investments that they want to make, who see productive opportunities, are going to find this a very good moment to make those investments," he said. "There are a very large number of things that are on sale today. Think about the cost of doing construction today, versus the cost of doing construction two years ago. "My advice to business leaders is not to foreshorten the horizon at a moment like this." On Wall Streets, stocks were moderately higher an hour before the close of trading after three straight days of gains. The government said the U.S. trade imbalance dropped to $36 billion in January, the lowest level since October 2002. However, while America's deficit with many of its trading partners declined sharply, the politically sensitive shortfall with China bucked the trend, rising by 3.5 percent to $20.6 billion. U.S. manufacturing companies, battered by what they view as unfair competition from China, said that the continued high deficit with that nation pointed to a need for the Obama administration to take a tougher line on trade rules with the Chinese. Heads of state from both the United States and China will be among leaders of the Group of 20 advanced and developing nations meeting in London in early April to try to chart a coordinated international approach to taming the global recession. Summers acknowledged that huge sums are being borrowed by the U.S. government to support recovery efforts. And while things should get better under Obama's programs, things could also get worse "if deflation sets in, if GDP (gross domestic product) collapses further," Summers said. "If that happens, the magnitude of the federal borrowing, as large as it is, will be dwarfed. It will be far, far larger." He also said there was a need to dial back the stimulus once the economy is clearly out of the ditch so that the nation "does not exchange a painful recession for another unsustainable expansion." For crisis spending by the government to continue after the crisis "would be a very risky thing," he said. He sidestepped a question on what the U.S. economy would look like in 10 years, saying he would follow the advice often given to economists who enter the government: "Name a number or name a date, but never name both." Obama is embracing a mantle of "confidence builder in chief." Whether he is meeting with his own economic advisers or worried business leaders, he has sought to be calm and reassuring — even in the face of more bad economic news. Speaking to a gathering of the nation's CEOs on Thursday, Obama defended his plans for pulling the economy out of a downward spiral, saying that his long-term view gives him reason to maintain optimism despite an uptick in unemployment and falling economic indicators.